As the welcoming manufacturing climate in China has seemingly eroded over the past several years, organizations hoping to take advantage of the country's low cost of production have increasingly decided to look elsewhere. Economic growth in the country has benefited many people in charge of production and has resulted in a rise in wages and operational expenses. On top of this, many U.S.-based companies are faced with supply chain issues because their products are manufactured far from the location of their largest consumer markets. This brief history would ring a familiar tune for Rhythmlink International, a medical device manufacturer that creates tools that help patients and doctors manage epilepsy and similar issues, explained Plastics Today. The company has operated out of China for 12 years but is expanding its reach in the U.S. with a new design and distribution facility in Columbia, South Carolina. Rhythmlink will also develop manufacturing operations in the U.S. over the next five years, including an automated packaging line in a large cleanroom. 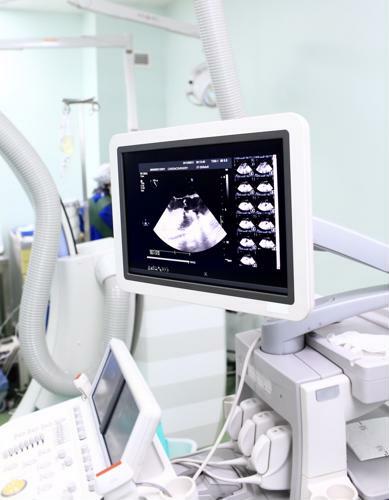 Michael O'Leary, chief operating officer for the medical device maker, explained the company is expanding and looking to maximize the process of moving operations closer to a large market while trying to stay competitive. O'Leary went on to explain that it's more cost-effective to establish a presence in South Carolina, and it will invest heavily in automation. Ascent Healthcare Solutions, an independent medical device reprocessor for many hospitals and healthcare providers in North America, clearly demonstrates the need for automation in the medical device industry. Because the company offers services to a huge number of customers every year - having delivered more than 50 million products to customers by recycling them for future use - it faces a vast amount of inventory on an ongoing basis. Both healthcare partners and the end users of the reprocessed items demand medical devices that have been safely reprocessed for their specific needs. With between 3,000 and 4,000 boxes of merchandise leaving their two Florida-based warehouses, accurate inventory management and processing is crucial for Ascent to maintain operations. At the time of a merger, Ascent was interested in upgrading the company's Oracle JD Edwards EnterpriseOne ERP inventory system, especially regarding automated identification and data capture. At the same time, the U.S. Food and Drug Administration had issued protocols that required Ascent to incorporate a wireless handheld bar-coding system for automated data capture to manage its inventory. This setup allows manufacturers and distributors to make use of technology for more efficient and accurate warehouse management, asset tracking, delivery and sales. Unfortunately, Ascent's ERP system wasn't up to the task of integrating ADC with functionality the company was looking for without exhausting financial resources and manpower. For this reason, Ascent's Director of Information Services Mark McGrath decided to implement RFgen Mobile Foundations for JD Edwards EnterpriseOne. This solution gives manufacturers and distributors the simplest, most efficient and functional framework to produce applications with fewer manual processes. The device maker's in-house developers were able to embed business rules from the ERP system as objects in the RFgen application, which could then interact directly with the ERP software. No additional logic is needed on the part of developers, especially considering RFgen's software already includes a large collection of open-source transaction sets. Another important component of Ascent's decision to work with RFgen is the fact that the solution offers 24/7 data collection operation, which means even if the ERP system were to fail is some way, local validation tables and RFgen's transaction management server allows employees to keep working until the ERP system is back online.